Does lack of consistency and low productivity impact your work environment? How? What tools have you tried to get back on track? During my days of managing others, there were three specific techniques I used to help people be more consistent and productive that are worthy of sharing. I have learned that businesses with strong compliance and accountability do well and have staff who are satisfied with their jobs. Achieving team buy-in means that all team members are on board with the same dedication and desire to deliver the goods. Most people leave a job because of feeling under-appreciated by coworkers or leadership. However, we can actually retain more staff if everyone, bosses and coworkers alike, learned to be more appreciative of the people around them. What’s the proper way to do this? It’s finally ready! 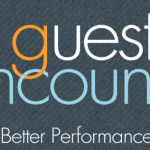 Over the last several months, I've re-tooled my Guest Encounters services to make them easier than ever to put to use in your office, business or store. Now you can access this content online through a virtual, entirely customizable customer service and staff development e-learning tool. What does flying an airplane have to do with our attitude? More than you think, says my friend John at John Register Inspired Communications International, LLC. Here he is in my latest #ExpertExcerpt. Time management is a challenge for everyone. Neen James, CSP Keynote Speaker & Coach suggests shifting the way we think about it in order to optimize our attention. Check out this #ExpertExcerpt clip for more!